Increase the level and depth of literacy amongst primary and secondary age children;. Connect education to children’s lives and to books beyond school text books. Disseminate Suchana’s own Adivasi publications. Encourage appreciation of stories and connect stories with books via reading aloud. 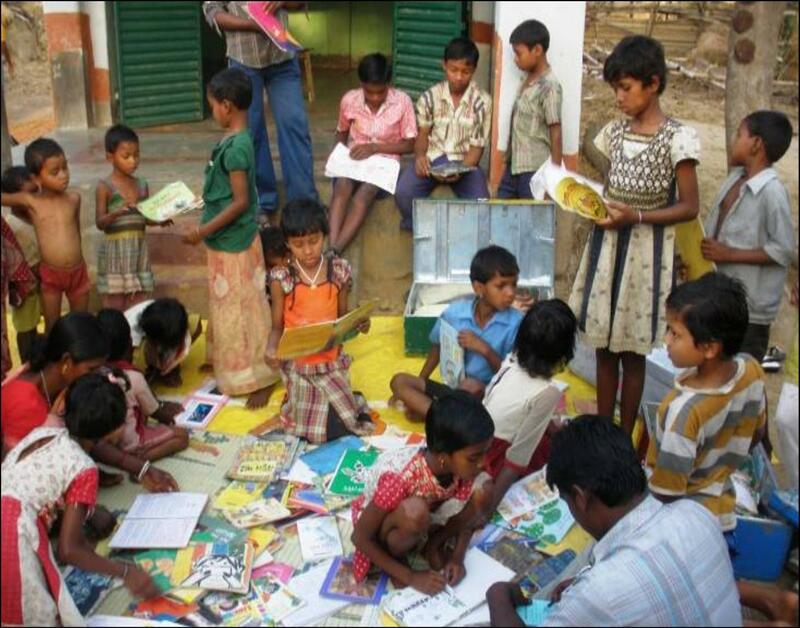 The Suchana Children’s Library now has around 3000 children’s books – mainly in Bangla, but also in English, and a few in Santali and Kora. The main library at the Education Resource Centre is used regularly by about 150 members across the age range 5-17. 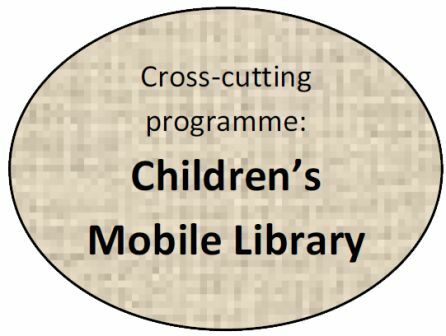 The Mobile Library visits 11 villages using a van rickshaw and colour-coded trunks, and has about 400 members.